Adhesive vinyl poster Taxis in Times Square. 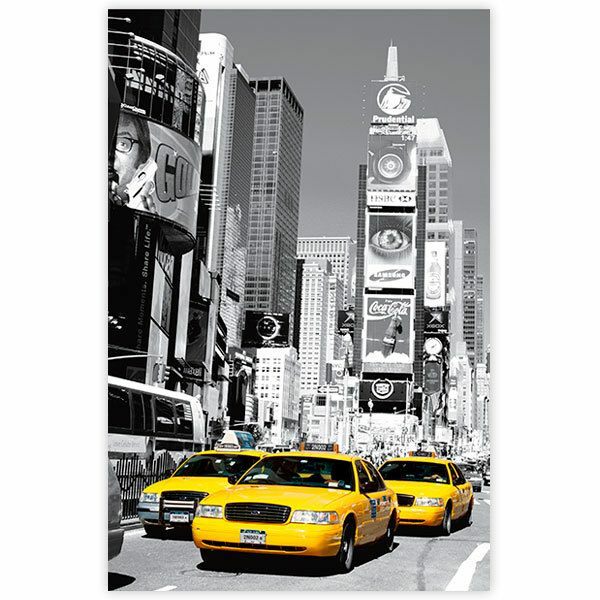 Beautiful black and white image with yellow taxis from Times Square, located at the corner of Broadway Avenue and Seventh Avenue. 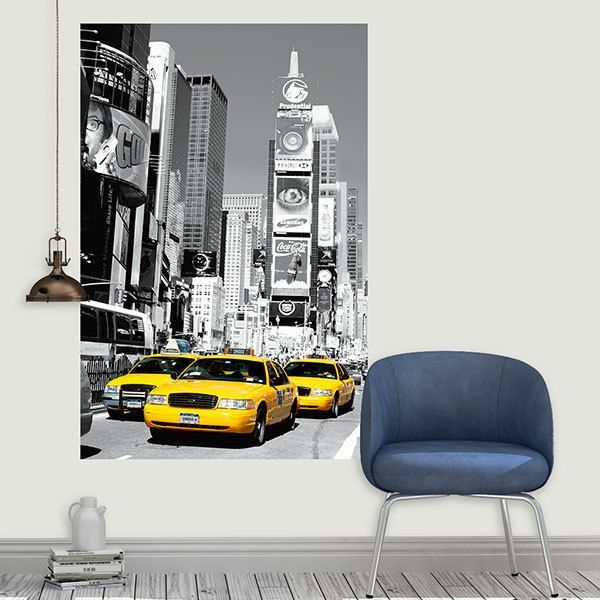 Become a symbol of New York that is characterized by its animation and illuminated advertising. 10.24 x 15.75 in. 12.99 x 19.69 in. 15.75 x 23.62 in. 18.11 x 27.56 in. 20.87 x 31.50 in. 23.23 x 35.43 in. 25.98 x 39.37 in. 28.35 x 43.31 in. 31.10 x 47.24 in. 33.86 x 51.18 in. 36.22 x 55.12 in. 38.98 x 59.06 in.